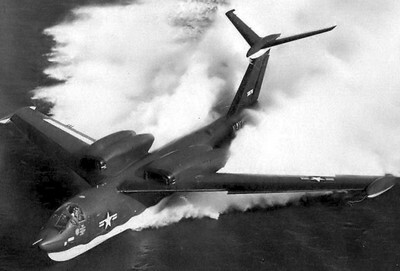 The Martin Seamaster was an unique flying boat as it was equipped with four jet-engines on top of its wing. 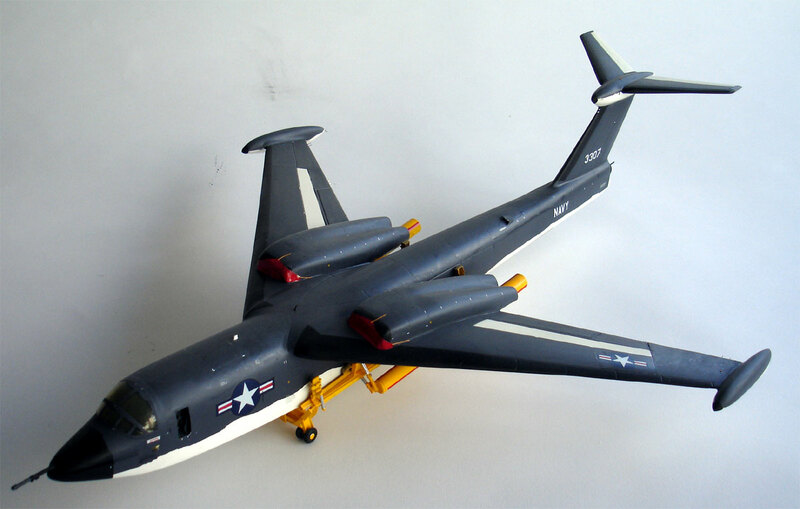 The 1956 project of the Martin company was done for the US Navy that wanted a fast, large range flying boat that could strike anywhere in the world from remote bases on sea. The Seamaster was capable of flying almost Mach 1 "on the deck", e.g at sea level. The Seamaster prototypes differed as the second type, which the model represents, has substantial changes from the original prototype XP6M-1. 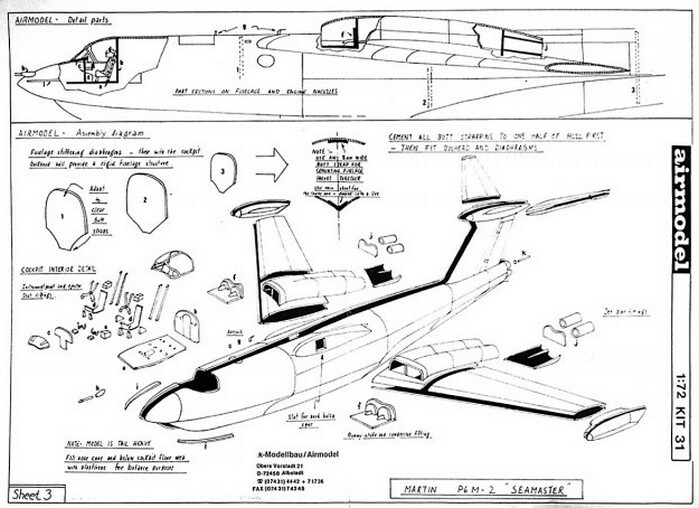 Although the design was pretty good, some redesign was done, mainly on wing sweep and engine fairings. 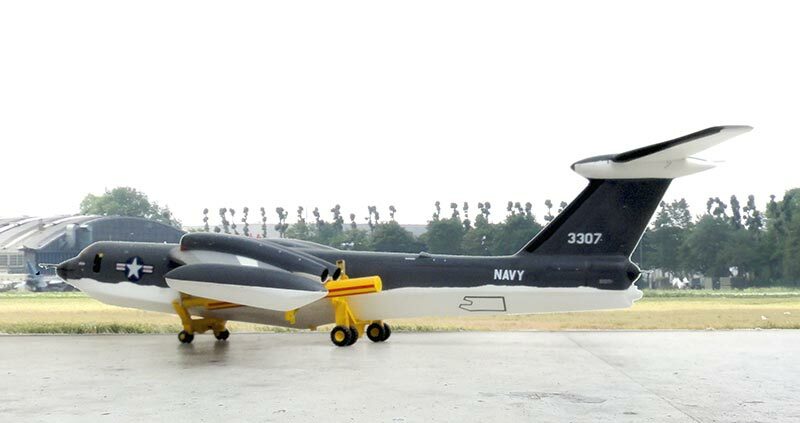 The YPM6-1 has a wing with dihedral, other nose section and canted engines on the wing. 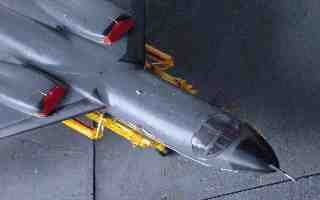 Further manufacturing was cancelled after a number of accidents and large costs overruns. 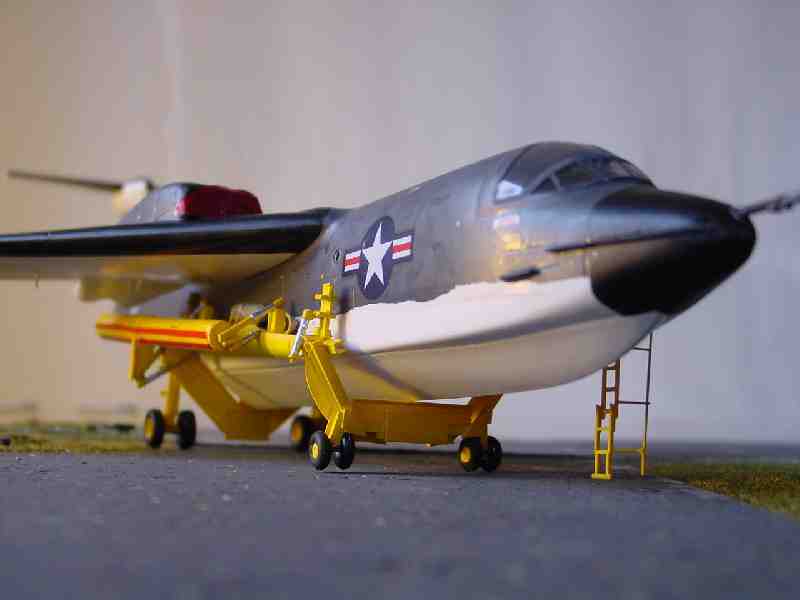 It was the only long distance jet powered flying boat that was used although in small numbers. 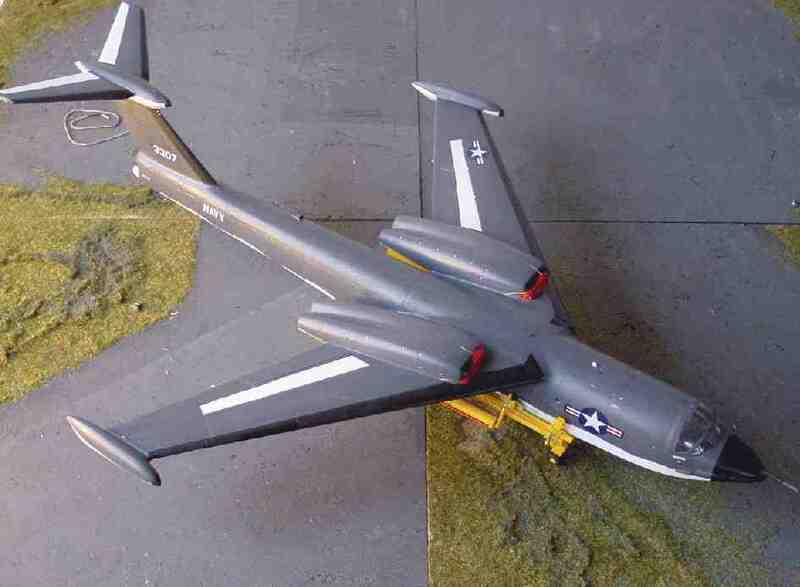 The model is a vacu-form kit from Airmodel from Germany. 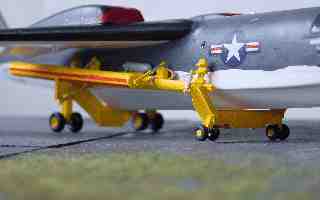 Airmodel was founded by mr. Schadler in Germany, who died in 1980. But the moulds were taken over by Frank Modelbau. Although the accuracy of many vacu models is questionable, Airmodel at the time provides unique subjects to the modeller. The Seamaster kit is very basic but the overall shape is OK. 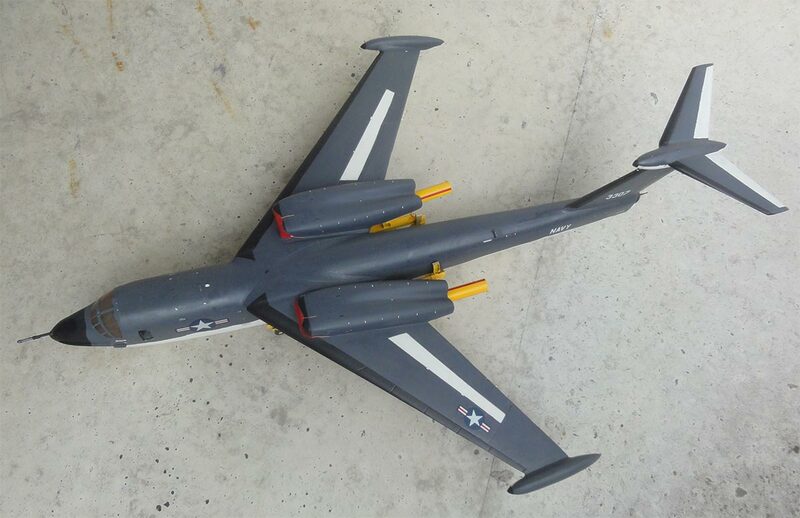 The model is over 22" inches in length and wing has a span of over 16". 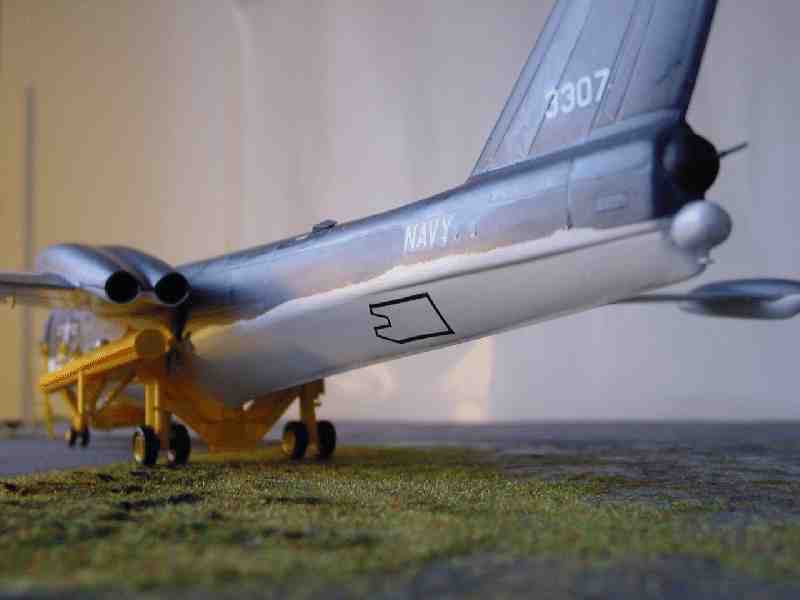 The model has no cockpit interior and no gear. 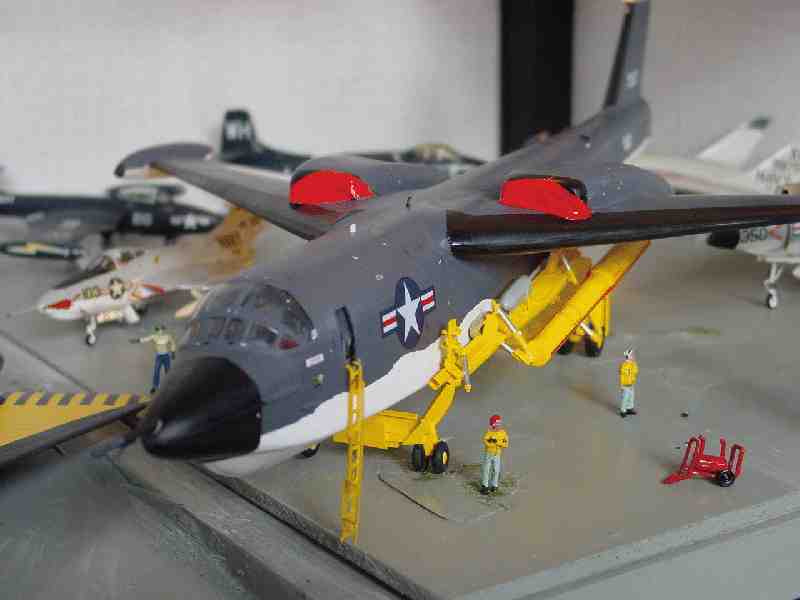 The Seamaster had a special made beaching gear that enabled the aircraft to be towed/go ashore. As I wanted the model to be in my cabinet without "water", a gear had to be made. The yellow beaching gear was made from scratch from rod and cart. The floats were made on old ballpens! The view from the rear; note brake and rear turrets. Another view of the gear . 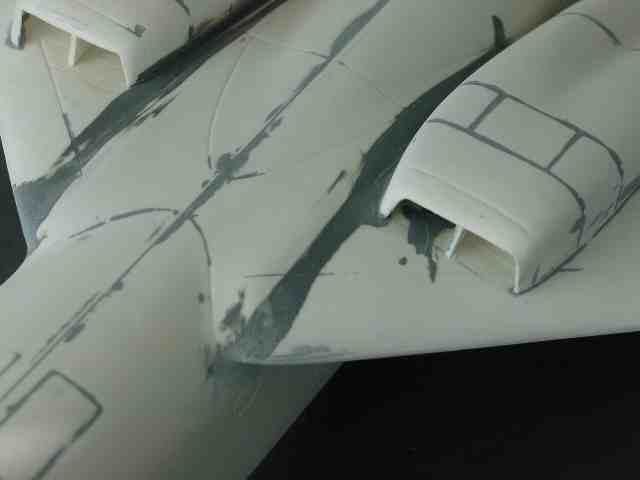 The upper view with white spoilers and elevator in the tail. The cockpit area has to be faired in with the glass section. The cockpit was fully detailed with parts from the scrap box and cart.